Polar bears on the Move. 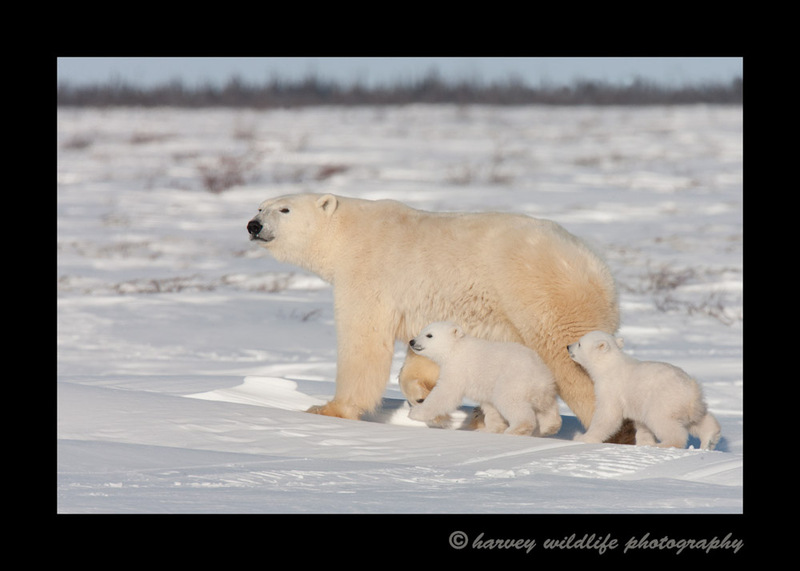 : Harvey WIldlife Photography; Polar bear mom's and cubs. North American Wildlife: North American Bears: Polar Bear Moms and Cubs, Wapusk National Park, Manitoba, Canada: Polar bears on the Move. Polar bears on the move on their way to Hudson Bay.